No refunds. We are a 21+ venue at all times. Those under 21 years old will not be permitted, even with a parent or legal guardian. Refunds: Please contact Amani Mousa at 718.651.2220 or click here to email. 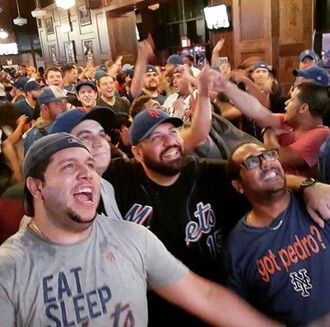 Guaranteed Express Entry to McFadden's Citi Field Game 1 Viewing Party and $5 Draft Beers All Night Free Autograph & Photo Op With 1986 World Series Champion Howard "HoJo" Johnson! Online tickets sales are over. Limited tickets will be available at the door.